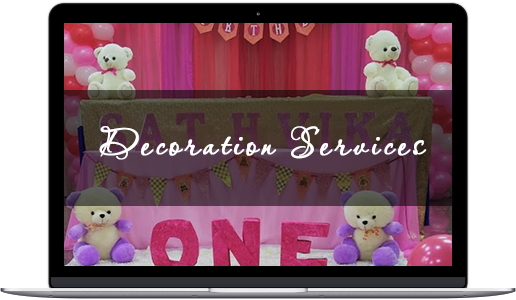 We provide the 'Best Personalization', 'Ultra-fast printing' and 'Free Delivery'. We are a provider for any kind of Design and Printing for event stationery and customised merchandise in Chennai with 7 day support and seasonal discounts. Get yourself caricatured and invite guests with a comic touch. we use are Mac, Kryolan, Bobbi Brown, Hd, Airbrush ,Inglot ,Maybelline ,Colorbar. Digital solutions for heavenly affairs. A website for everything wedding. Stunning Videos that you can share through all digital media channels. Ethnic isn't just a sentiment, Ethnic is a style statement. For those who wanna make an impression of depth, it's time to unbox our collection. The most respected return gift at events now gets a personalised style. Make a statement at wedding flash mobs with personalised t-shirts. Possessed by energy and powered by passion, Durgesh believes that anything can be acquired if one wants it bad and works towards that 'want' with absolute interest. Churns out jaw-dropping design for any customer requirement at a hectic pace never compromising on quality. Karthi has worked in 5 internet startups from his college days and has helped numerous companies through his SEO consultancy. A very prompt and patient team. I really appreciate the way you guys dealt with us, sporting a smile all the way through. Very trust worthy, flawless service and consistent follow ups. Keep it going team T1C. 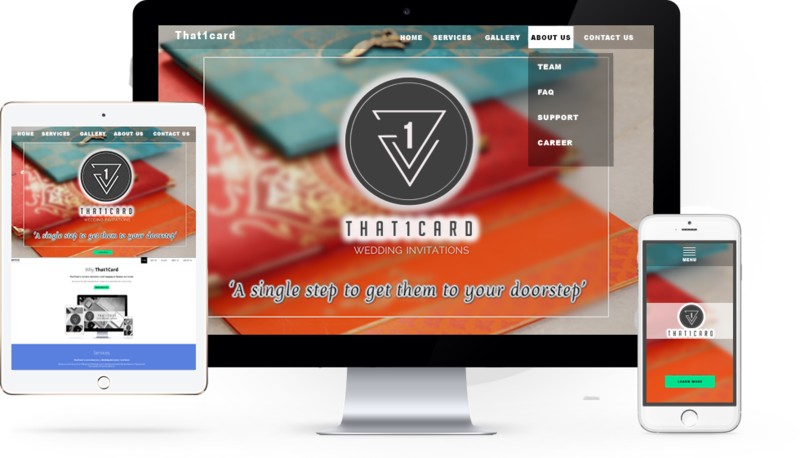 More than the creative cards that you delivered it was the team's hospitality on a whole the really impressed us and made us feel to keep visiting frequently. Do keep in touch ppl. Despite the time difference, these guys made the proofreading process super easy for me from the US. 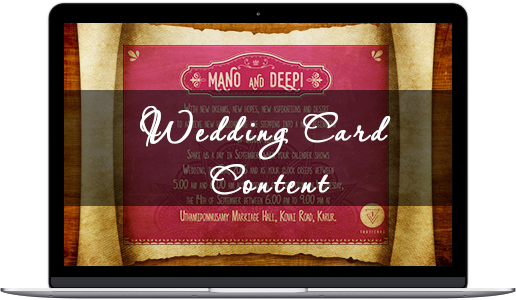 These guys were able to design, print and deliver my 500 invitations within just a day. WOW! Although things got delayed a lot, you guys really bested our expectations and our folks back at home really loved the cards. Thank you so much guys :slightly_smiling_face:. Let's not confuse our guests connect names with faces in your event. 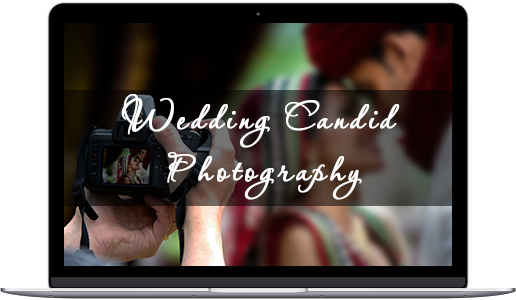 Get a candid photography invitation. 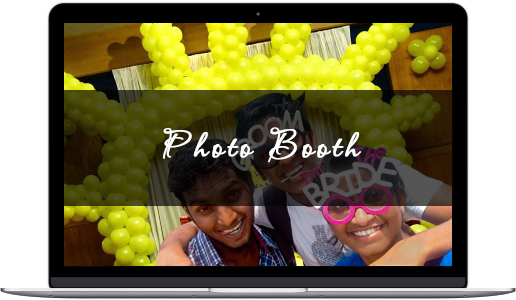 Let us create a photo-booth with spot printing for your event's guests at your event venue.